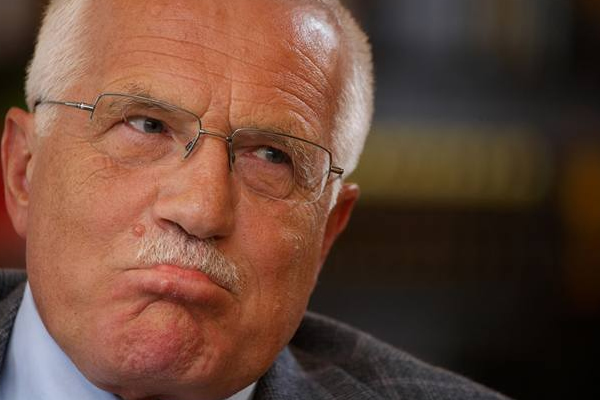 Vaclav Klaus was born in Prague on 19 June 1941. He obtained his university education at the University of Economics, Prague, where he studied Foreign Trade Economics and after graduating in 1963 economics became his specialist field for his entire life. He took advantage of the relative liberalisation in the then Czechoslovakia in order to study in Italy (1966) and the USA (1969). As a research worker at the Institute of Economics of the Czech Academy of Sciences he completed his postgraduate scientific studies and in 1968 was awarded a PhD in Economics. In 1970 he was forced to abandon his research career for political reasons and he went to work at the Czechoslovak State Bank, where he was to remain for many years. However, in 1987 he left the bank and was able to return to his academic work at the Prognostic Institute of the Czech Academy of Sciences. Immediately after the events of 17 November 17 1989, he entered politics, but did not lose contact with the world of economic science. He continued to lecture and publish occasionally, and in 1991 he was engaged as a lecturer at Charles University in the field of economics. In 1995 he was appointed Professor for the field of finances at the University of Economics, Prague. He embarked on his political career in December 1989, when he became Federal Minister of Finance. Later, in October 1991 he was appointed Vice Chairman of the Government of the Czechoslovak Federal Republic. At the end of 1990 he became the Chairman of the then strongest political entity – the Civic Forum. Following its demise in April 1991 he co-founded the Civic Democratic Party, of which he was Chairman from its inception until December 2002. He won a parliamentary election with this party in June 1992 and became Prime Minister of the Czech Republic. In this role he shared in the “Velvet Divorce” of the Czechoslovak Federation and the foundation of an independent Czech Republic. In 1996 he successfully defended his post as Prime Minister in election to the Chamber of Deputies. Following the collapse of the governing coalition, he tendered his resignation in November 1997. Following a forced general election in 1998 he became Chairman of the Chamber of Deputies of the Czech parliament for a four-year period. On February 28, 2003 he was elected President of the Czech Republic. He has published over 20 books on general social, political and economic themes, and has been awarded a number of international prizes and honorary doctorates from universities all over the world.